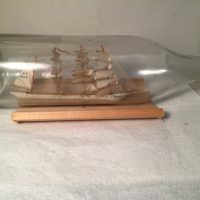 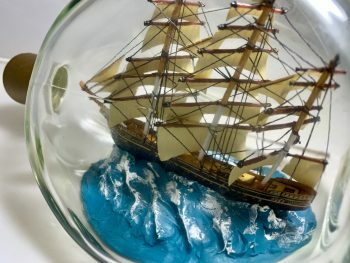 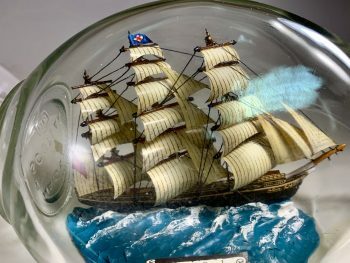 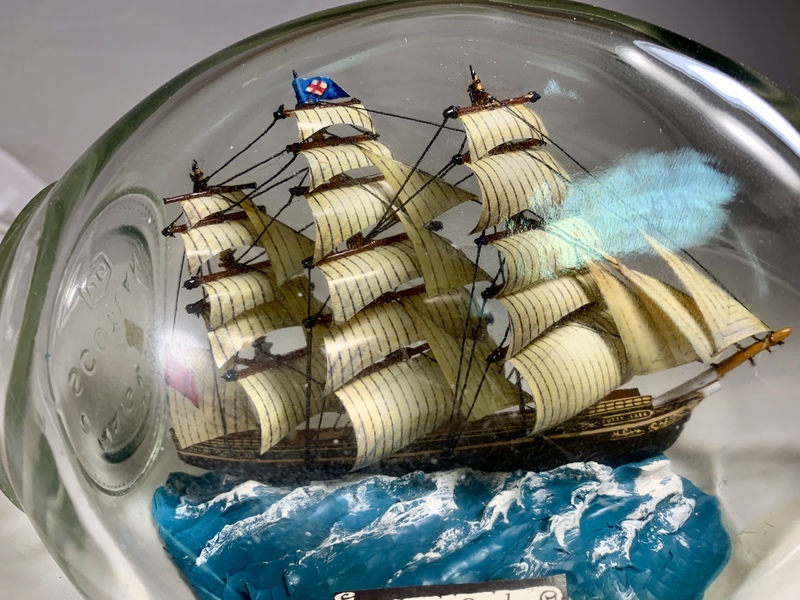 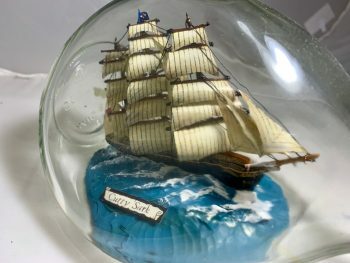 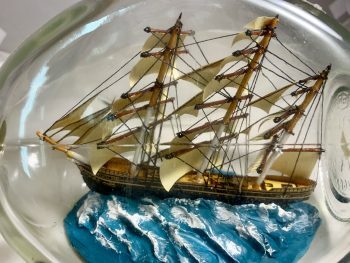 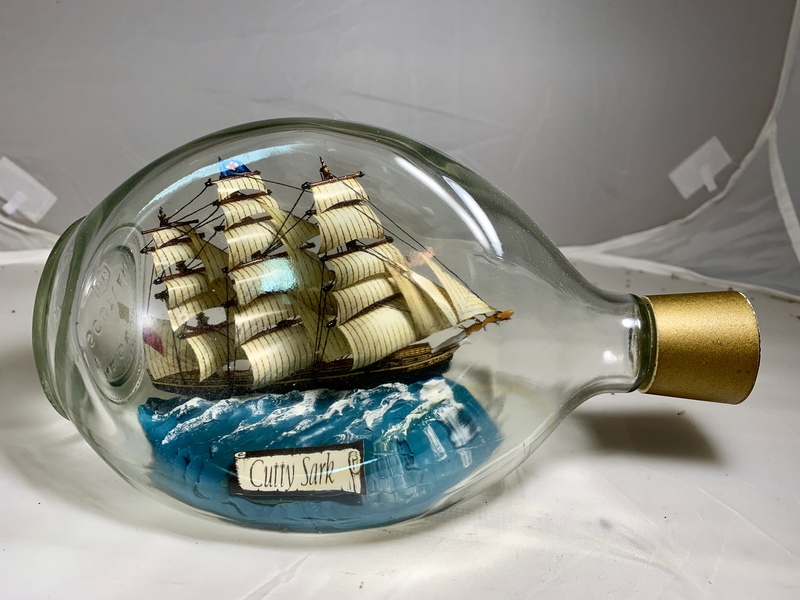 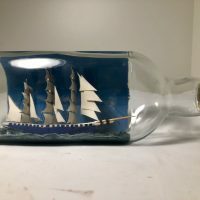 The world-famous Cutty Sark in a pinch bottle. 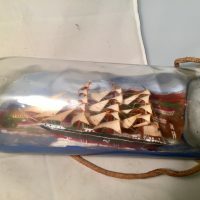 Condition is excellent, very nice rigging, handcarved hand painted and made an England approximately 1960. 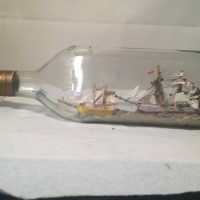 Bottle is approximately 9 inches long, this is a great model and really displays well.